Judge Elihu Bay was an associate justice who served on the precursor to the South Carolina Supreme Court. His residence was located at 76 Meeting Street and is now the rectory for St. Michael’s Episcopal Church. This plat, executed in 1789, shows a flower garden with symmetrically shaped beds surrounding a circular plot. 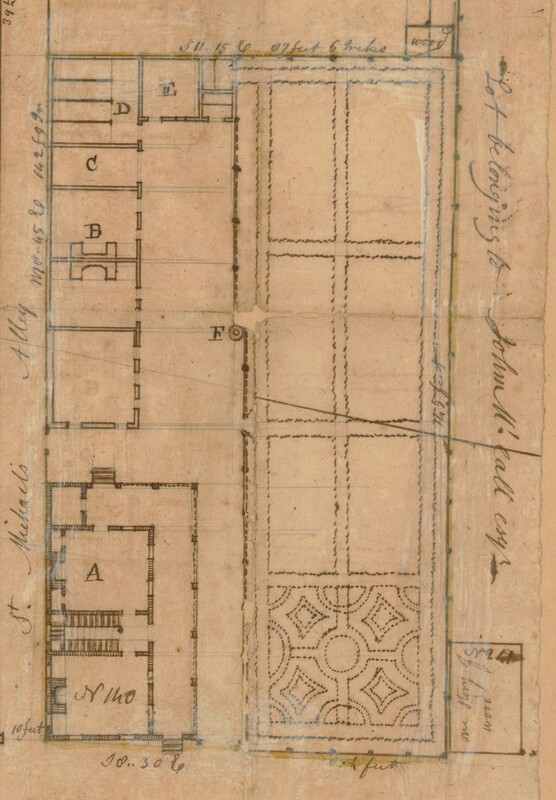 The six adjacent rectangular beds were most likely for fruit and kitchen gardens. Judge Bay's Garden. Courtesy of the Charleston County Register of Mesne and Conveyance.